Heat ghee in a pressure cooker and add cumin seeds to it. When they start to crackle add grated onions,grated ginger and finely chopped garlic to it. Cook till they become light brown in color. Now add all the spices and salt and stir for a while. 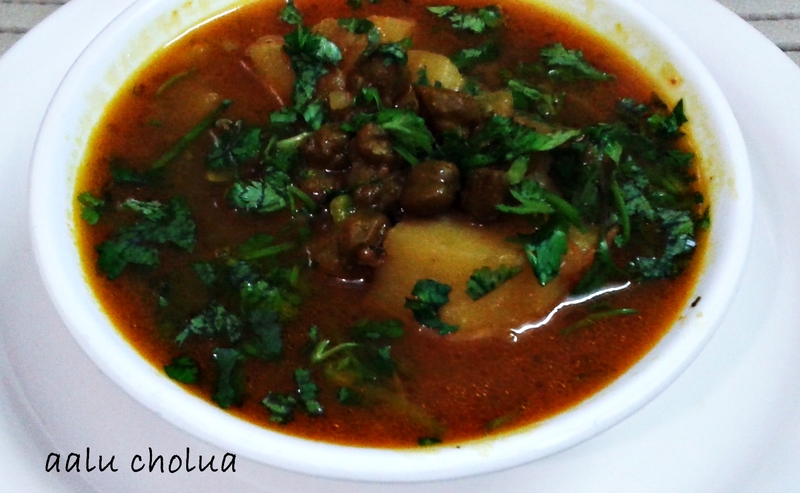 Add diced potatoes and cholua and stir for a while. After a minute or two add 3-4 cups of water and mix. Heat water in a big vessel and place a greased steal strainer on it. Now place muthias on the strainer cover it and steam for 10-12 minutes. Check with the help of a toothpick or knife, if it comes out clean it is done. Let them get cool then slice them in desired shape. Heat oil in a pan for tempering and add asafoetida,mustard seeds,sesame seeds and curry leaves. As they splatter add the sliced steamed muthia to the tempering and fry these for 2-3 minutes on a medium flame. 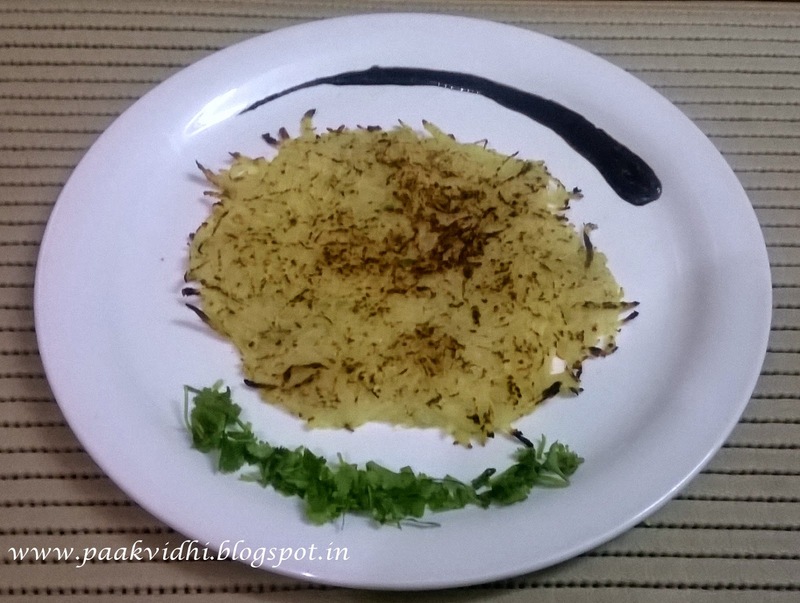 Garnish with coriander and coconut and serve hot with some tamarind chutney or tomato sauce. Sieve flour and mix flour ,salt ,degi mirch and garam masala along with water to make a batter of coating consistency. Peel,wash and slice potatoes into not very thin and not very thick slices. Coat each slice with the batter and deep fry in hot oil. When it is cooked from both sides drain it out from oil on an absorbent paper. 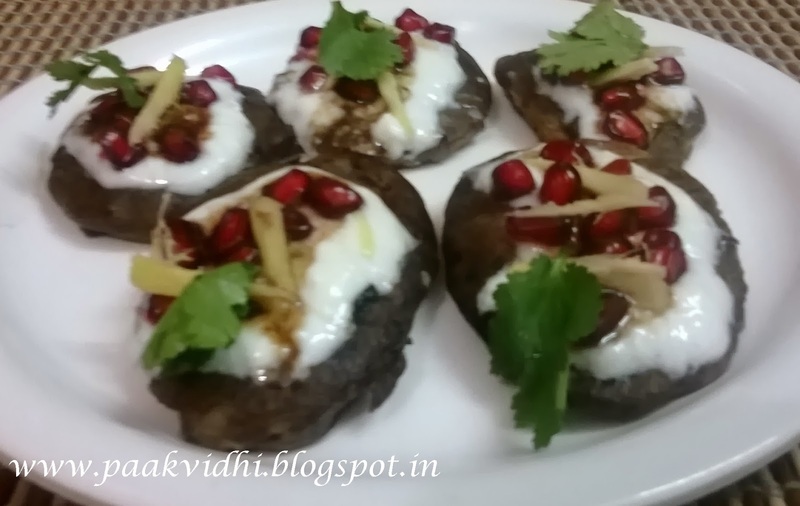 Garnish with curd ,tamarind chuttney,pomegranate seeds,ginger julian and coriander leaves and serve. Heat ghee in a non stick pan and roast mashed potato in it stirring constantly. Stir this on medium heat til it starts changing color. Dissolve saffron in hot milk or water. Pour in the boiling water/milk,sugar and cardamom powder in the roasted potatoes and mix well. 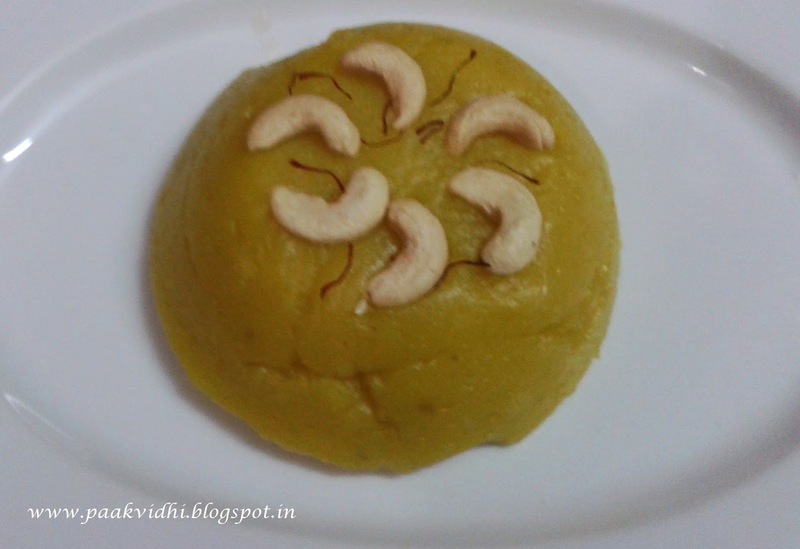 Stir this till it leaves ghee or starts leaving the sides of the pan. There shouldn't be any lumps in it. Serve hot garnishing with dry fruits. Soak sabudana in water at least for 2 hrs. Grease it with a little oil or sprinkle a few drops of water on the polythene sheet. Now pick up the polythene sheet and carefully remove the cheela from it. Place it on greased hot non stick tava(griddle) and cook the cheela from both the sides while pressing with the help of a spatula. Serve with,vart ke aaloo or a dip or chuttney of your choice. Soak almonds at least for two hours and pour hot water on them and keep aside for five minutes to blanch them and then peel them. Peel,wash and grate bottle gourd. Heat ghee in a pan, add the bottle gourd and saute on medium flame for 2 minutes. Add the hot milk and keep stirring till it reduces and become thick or add mava and stir till lauki and mava blends completely. Add the sugar, mix well and cook ,till the water released by sugar evaporates. Add cashews/almonds and cardamom powder and mix well. 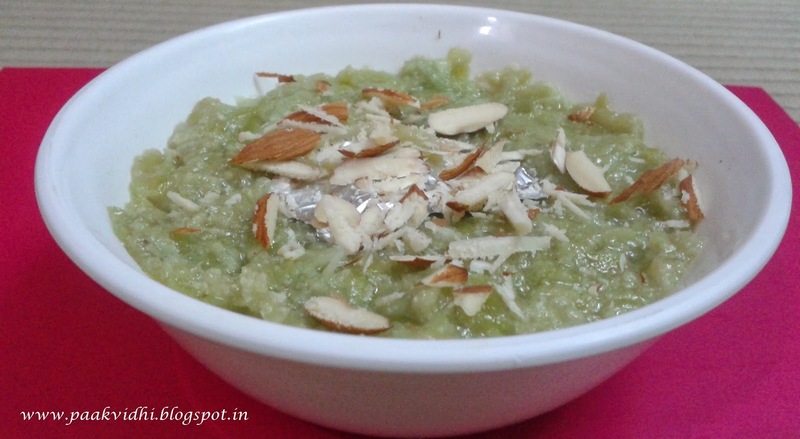 When the halwa is cooked and becomes thick, add green color or brahmi syrup and mix well. 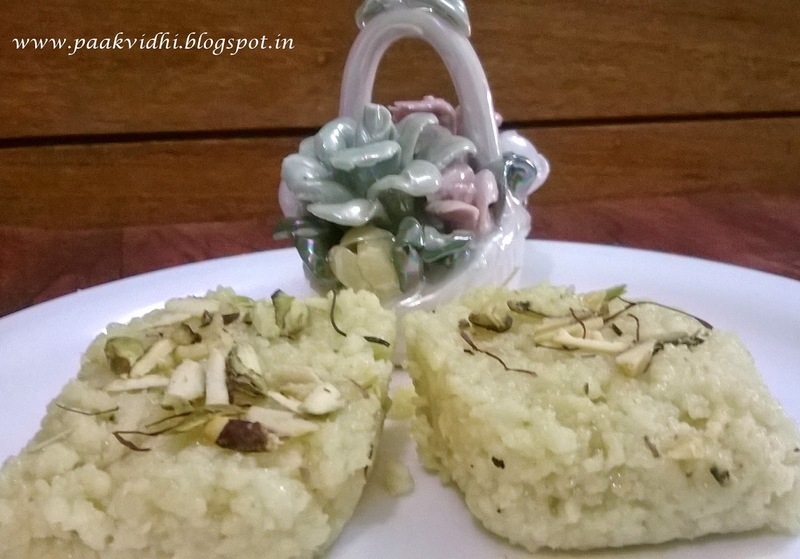 If you are using mava instead of milk then cook bottle gourd in ghee till it becomes tender. If using brahmi badam syrup instead of color then take care while adding sugar as some sugar is present in syrup also. Peel and grate potatoes and mix rest of the ingredients in it except oil. Now pour approximately 1/2 cup water in it to make a batter of pouring consistency. Heat a non-stick griddle (tava) and grease it with a little oil. 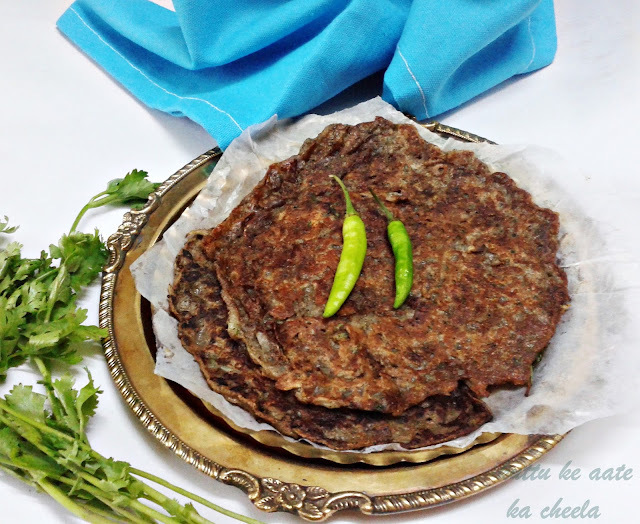 Now pour a ladle full of batter and spread it on tava in a circular motion like dosa but don't make a thin cheela otherwise you wont be able to flip the side. Cook it from one side on medium heat for 2-3 minutes and gradually flip the side with the help of a spatula and cook from the other side also. Pour a little bit of oil all around the cheela and gently press it with the help of the spatula. When both the sides are done then serve it hot along with vart ke aalo,petha(pumpkin),lauki (bottle gourd),tamarind chuttney or simply with curd. 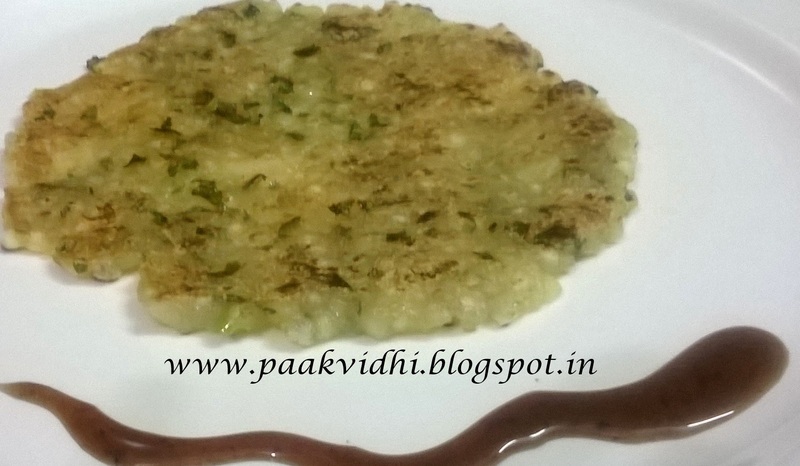 You can replace potato with grated cucumber ,bottle gourd or raddish etc. Boil milk over low medium heat in a heavy bottomed pan. Let it boil for 3-4 minutes and then add lemon juice to it till it starts curdling. Now when the whey separates from milk solid pour out one to two cups of whey water from it to reduce the sourness. Cook the milk solid and the whey water on medium to high flame stirring occasionally till all the liquid evaporates. Now add ghee,cardamom powder and sugar and cook further for 3-4 minutes till the mixture completely binds together and the water released by the sugar evaporates. Grease a rectangular try and evenly spread the mixture in it, sprinkle the sliced pistachios and saffron strands on it and keep it aside to get cool. Cut the pieces of desired shape and size and serve. Wash and soak sabudana in 2 cups of water at least for 1 to 2 hours. Cook for 20-25 minutes on a low to medium flame stirring occasionally. When you reach the desired consistency add sugar and cardamom powder and sliced blanched almonds. 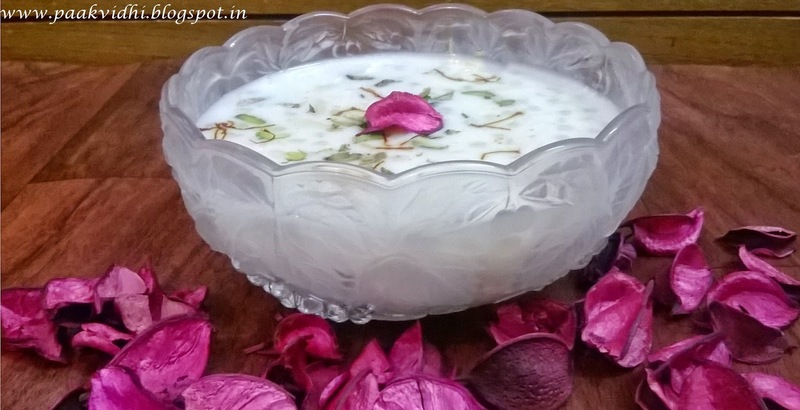 Garnish the sabudana kheer with saffron strands and pistachios and serve sabudana kheer hot or warm. 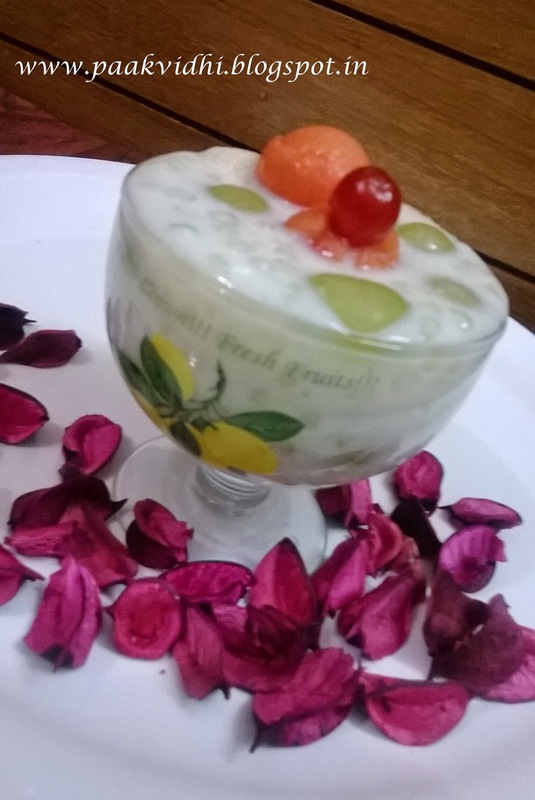 You can also serve cold kheer and add fruits of your choice. Peel the potato and wash it. Heat a non stick griddle(tava) on low medium heat and grease it with a little oil. Grate the potato directly on the tava and spread it evenly on it with the help of a spoon or with your hand. Now cook it on high flame and flip the side and cook from the other side as well.If required apply some oil on it. When it turns out to be golden brown in color remove from fire sprinkle salt and pepper and serve hot along with a dip or sauce of your choice.